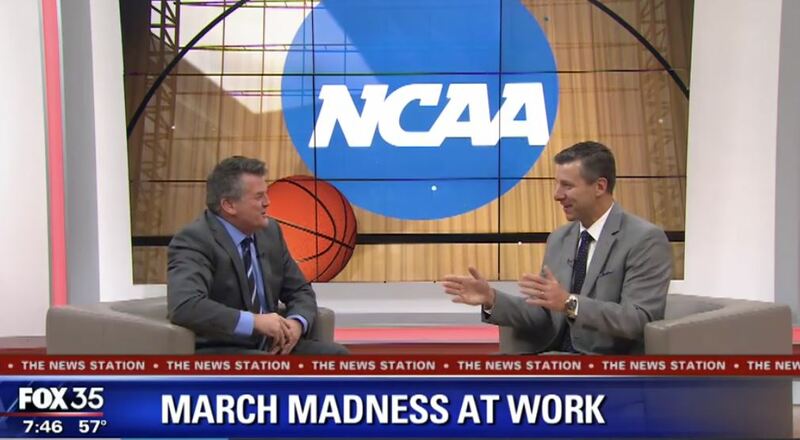 David Sprinkle, Managing Partner at Veritas Recruiting Group, was featured on Fox 35 Good Day Orlando to discuss best practices for March Madness in the workplace. David provides his expert advice to participating in the festivities without compromising your productivity. Don’t: Play hooky from work. Deciding last minute to skip work to watch the games is not good. Put in your request for time off well ahead of time so your boss can prepare for you not to be there. Do: Follow your company policies. Every company is different in its approach to March Madness. Some jobs allow you to wear your favorite team jersey, have an office pool, and some even allow the games to be on in the office during break times. Other companies are less accommodating. If the policies aren’t spelled out and clearly communicated, then follow your boss’s lead for what is and isn’t OK. When in doubt, ask what’s acceptable. Don’t: Spend the entire day glued to your phone. Occasionally checking scores on your phone is typically fine, but spending the entire day watch games/highlights instead of doing work is probably not a good idea. At the end of the day, you still have to get your work done. Don’t forget that. Do: Engage in friendly rivalry. UCF, Florida, and FSU are all in the dance this year. It’s great to be passionate about rooting for your team. Just make sure you don’t bad-mouth anyone else in the process. It’s OK to have a friendly rivalry, just be sure to keep in friendly. Don’t: Miss out on the fun. Events like March Madness are opportunities for workplace teams to have fun and camaraderie. Even if you don’t like basketball and don’t have a team to root for, don’t be Debbie Downer in the office complaining about how distracted everyone is. Be a good sport, participate, and build some rapport with your colleagues. Stay up-to-date on the latest news, jobs, and industry trends at www.veritasrecruitinggroup.com.